University of Utah Health Receives Nearly $10 Million to Identify Natural, Non-opioid Compounds to Manage Pain. What does a marine snail’s ability to kill prey with two shots of venom have to do with the opioid epidemic ravaging the United States? A multi-disciplinary team of researchers with expertise in biology, anesthesiology, pharmacology, and medicinal chemistry at U of U Health received a grant from the Department of Defense to identify new, natural compounds to develop non-opioid drugs for pain management. The approximately $10 million grant will be distributed over four years. Chronic pain lingers, affecting the patient long after an injury has healed. 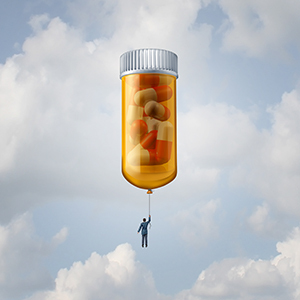 With few options, patients often turn to opioids and anti-inflammatory drugs that work through a limited number of molecular pathways and require increasingly higher doses to continue the analgesic effect. Since antiquity, scientists have exploited plant sources for pain drugs, including medications from the poppy plant (opioids) and willow bark (aspirin). Few, new natural medications have been developed in the past half century. In this study, the researchers will isolate various compounds from the venom of marine organisms to evaluate their analgesic and anesthetic qualities. More than 10,000 species of sea snails, slugs and other marine mollusks roam the ocean. These organisms lack arms, nets or teeth. Despite these deficiencies, they are effective predators, having evolved an array of venoms to numb, stun and eventually subdue prey. The numbing properties of venom are central to this study. Previous work by this research team identified the potential analgesic properties of the venom isolated from Conus regius, a small, predatory cone snail common to the Caribbean Sea. This project will expand on this preliminary research to explore compounds from venom isolated from a variety of different marine mollusks. Beyond compound discovery, the team will also explore underutilized biological pathways to reduce the sensation of pain and inflammation. The aim is to identify novel drugs that have the beneficial effects of opioids, but lack the adverse actions. “We don’t want to find another drug that works [on the same pathways] as opioids, because it will probably have the same problems with addiction and respiratory depression, among other side effects” said Russell Teichert, Ph.D., research associate professor in the Department of Biology. The researchers will evaluate the candidate compounds identified in this study using three rodent models that mimic chronic pain in humans to evaluate their effectiveness for future clinical trials. The potential compound identified from C. regius will be taken one step further in this larger study. The team aims to develop a stable drug that can be metabolized in the body and can elicit the analgesic effect, similar to opioids for chronic pain. “We really hope that we will find a drug that could be as effective for severe pain as opioids but has far less side effects and is not addictive,” Teichert said. The team is building on their previous success in which a compound was isolated from the venom of the cone snail C. magus that inhibits pain by blocking calcium channels. The isolated compound was developed into the drug Prialt, which was approved by the FDA in 2004 to treat severe pain resulting from cancer, AIDS, failed back surgery and certain nervous system disorders. The drug has restricted application as it must be administered by a doctor directly into the fluid surrounding the spinal cord. This work was supported by the Assistant Secretary of Defense for Health Affairs, through the Peer Reviewed Medical Research Program under Award No. W81XWH-17-1-0413. Opinions, interpretations, conclusions and recommendations are those of the author and are not necessarily endorsed by the Department of Defense. University of Utah Health is the state’s only academic health care system, providing leading-edge and compassionate medicine for a referral area that encompasses 10% of the U.S., including Idaho, Wyoming, Montana and much of Nevada. A hub for health sciences research and education in the region, U of U Health touts a $291 million research enterprise and trains the majority of Utah’s health care professionals at its Schools of Medicine and Dentistry and Colleges of Nursing, Pharmacy and Health. Staffed by more than 20,000 employees, the system includes 12 community clinics and four hospitals — University Hospital; University Neuropsychiatric Institute; Huntsman Cancer Hospital; and the University Orthopaedic Center. For eight straight years, U of U Health has ranked among the top 10 U.S. academic medical centers in the rigorous Vizient Quality and Accountability Study, including reaching No. 1 in 2010 and 2016.